The Rodeo City Rollergirls took a 189-94 win against Columbia Basin Roller Derby on Saturday, October 20th at Soap Lake High School. The bout was the first bout of RCR’s ninth season. Rodeo City debuted two new skaters, Nuclear Spinderelli and Bliss ‘n’ Vinegar. 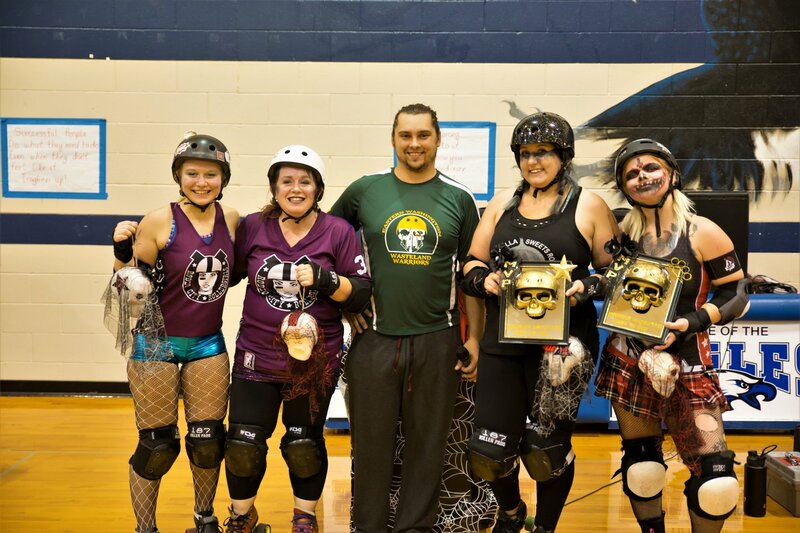 What the Hellvetica was named MVP Jammer and Demolition Dovie was named MVP Blocker. The Rodeo City Rollergirls play next on Saturday, October 27th against the Atomic City Roller Girls at the South Ridge Sports Complex in Kennewick.